Now the question is from where. This question can be addressed by deciding what it is you want from the Pit you will be getting. Here are your options and some factors which may be beneficial in the decision making process. Kennels - There are many kennels out there some good and some bad. The advantage to using a kennel is that puppies are usually what these organization deal in and by acquiring them young you have more of an opportunity to train and socialize them to be good citizens. These Pits are not typically trained and their level of socialization can vary significantly from one kennel to the next. Ethical kennels are an excellent source of good quality Pits and many times the kennel owner can provide a warranty. Because the standard of care a kennel may provide and the ethics may vary greatly from one kennel to another we only recommend those who have agreed to our Code Of Ethics Kennel Certification agreement and are certified through us. In order to see those kennels who have been certified and have an internet presence click here or our APBR Pit Bull Classifieds. APBR Pit Bull Classifieds through our PitBullSocial network - This is a general resource to find Pit Bulls, merchandise and products, place wanted ads, look for Pit Bull mates and more. Viewing of this section is open to all. In order to place ads one must meet the necessary criteria of being a member, merchant or service provider. If placement criteria are met postings are provided FREE as an APBR member benefit and community service. Individuals - as with kennels the standard of care that individuals selling pups have varies greatly. Individuals may or may not have any experience in the process of raising Pit Bull puppies. Some may offer warranties while others may not. Some provide significant care while others may only provide the basics. If choosing to buy from an individual (or from any source for that matter) we recommend that you feel comfortable with them and that the Pit you decide on acquiring will be one that meets your needs and expectations. The American Pit Bull Registry ( APBR ) does help its individual owners who do have pups in advertising them. This is done with the intent to try to make sure that each of our members Pit Bull puppies goes to a good and loving home. If you are interested in obtaining a pup from an APBR member you are encouraged to visit our Classifieds through our PitBullSocial network section where our members have the ability to place free ads on the Pit Bull puppies they have available as well as sell adult APBR registered Pit Bulls and post ads looking for viable mates. Re home - each Pit that is needing to be re-homed is a unique and individual case. Many are the product of recent laws banning their ownership, the owners are moving and can not take them, or because a landlord will not allow them in their housing. Many of these come from loving homes and already have a foundation of basic training. Some on the other hand may be too much for the owner to handle. If considering this option you will at least have the opportunity to learn of the Pit Bulls individual history and to see if there are any issues you may need to work on after you have re-homed them. Pit Bulls available for re-homing are listed in our Classifieds through our PitBullSocial network and in our Pit Bull Resource Network. If you are willing to re-home a Pit Bull but cannot find one listed if you are an APBR member then you are welcome to also place and ad in the Classifieds through our PitBullSocial network. If you are not an APBR member or if receiving one from a rescue or shelter is an option you may also look to our Pit Bull Resource Network where new ones are added regularly. Adoption from a rescue - these Pits are much the same as those in shelters. Rescues tend to have more pups available however. Many rescues additionally focus on specific breeds which means the staff have more breed knowledge and can offer greater breed information and support. One of the benefits of being a rescue animal is that rescues typically will not have mandatory time limits that an animal may stay and such rescues rarely will be euthanized in order to make room. Animals in rescues typically have a higher level of health care provided and in some cases even have access to special training programs to help them learn to be better human companions. 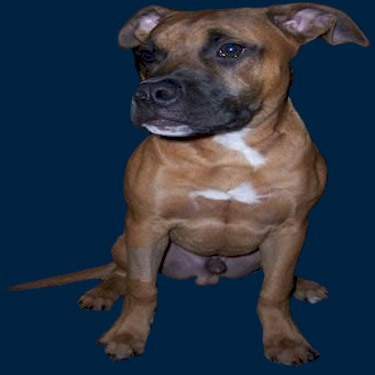 To see some Pit Bull friendly rescues in your area click here for our Pit Bull Resource Network . Adoption from a shelter - These are typically adult Pits, which have been acquired by owner turn-ins, picked up off the street, or seized. Many of these Pits are the product of irresponsible ownership and all they want is someone to show them love. Some may have issues that require special attention and others will only need a little couch therapy. In most cases these Pits will be sexually altered, which may be a positive or negative aspect based on when and how the procedure was done and your desire as an owner. Some may not be suitable to be around children, other pets, or the elderly. Others will make excellent family pets and can even be used in service and therapy work with the right training and guidance. To see some Pit Bull friendly shelters in your area click here for our Pit Bull Resource Network. People should only consider the pound or other humane shelter as their option for getting a Pit Bull. Each case of ownership is unique. While pound Pits deserve love the same as all others they may not be the perfect choice for all situations. Each Pit must be judged on its individual merits and the situation in which it is being placed. 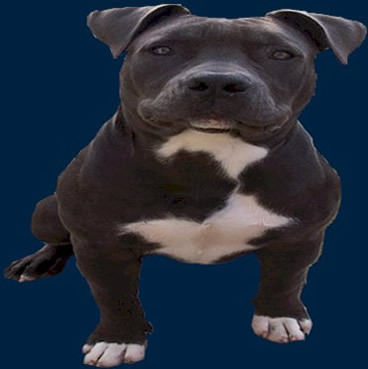 While in many cases the pound Pit is the perfect choice in many other cases a well bred Pit from a breeder may also more appropriately match the needs of its new owner.